BlackFang Guitars Handmade Leather Guitar Strap made in UK by Heistercamp. 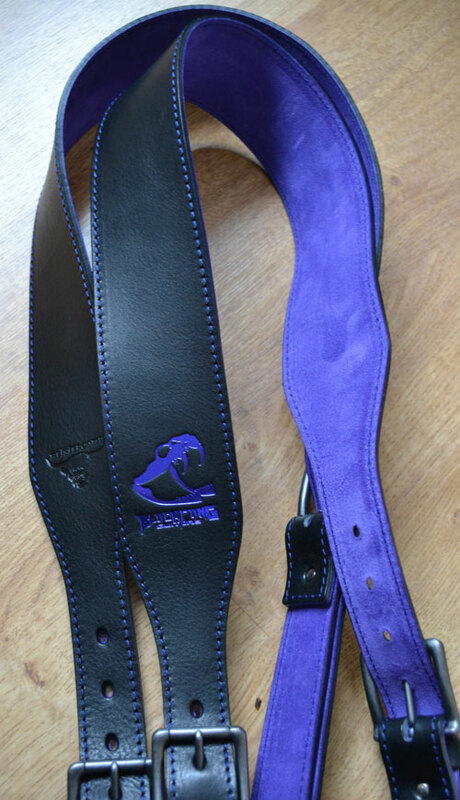 Super Soft Black Leather with Purple Suede Reverse, Purple Stitching and BlackFang Guitars Foiled Logo with Pewter Buckles. 2-1/2" Wide and Adjustable Length from 48" - 58" at the font and Rear.